This illustrated history portrays one of England’s finest major cities. 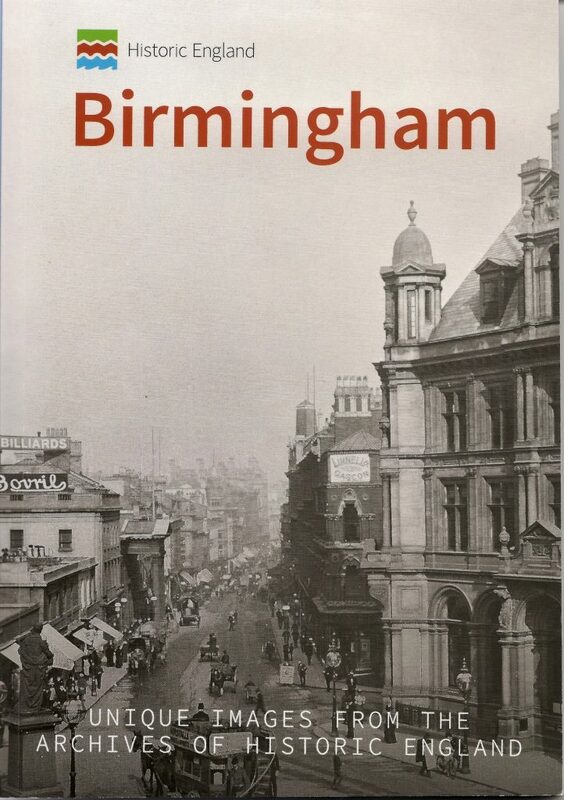 It provides a nostalgic look at Birmingham’s past and highlights the special character of some of its most important historic sites. The photographs are taken from the Historic England Archive, a unique collection of over 12 million photographs, drawings, plans and documents covering England’s archaeology, architecture, social and local history. Pictures date from the earliest days of photography to the present and cover subjects from Bronze Age burials and medieval churches to cinemas and seaside resorts. Birmingham has long been an important centre in the West Midlands but during the Industrial Revolution it grew to become England’s second city. The myriad of manufacturing businesses in Birmingham created a dynamic local economy and the city prospered. Although the town was heavily bombed in the Second World War and its infrastructure was badly damaged, the city was redeveloped post-war, with many areas being rebuilt from scratch. Birmingham continued to be regenerated in subsequent decades and today it is a powerful commercial city of international importance.